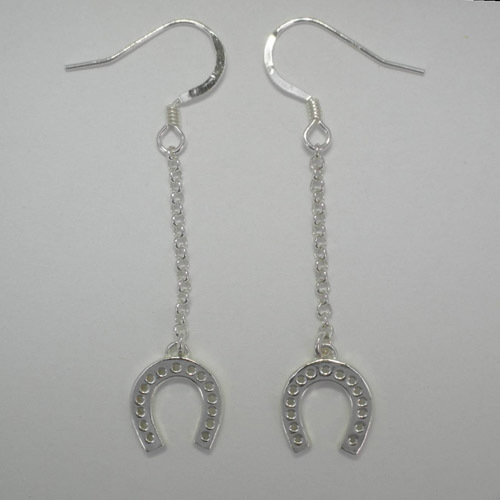 Desc: Sterling Silver dangle horse shoe earrings. The Sterling Silver horse shoes dangle from Sterling Silver curb style chains. The earrings have bright polish finishes.